Horror movies aren’t normally associated with romance; most of the time the goal of a horror movie is to cause unrelenting terror to the viewer. However, as we all know, horror can be a very experimental genre that incorporates multiple elements beyond giving us the willies; and sometimes, they’ve told a love story. In celebration of this years romantic horrific masterpiece, Spring, I have decided to look back on some of the others that have tugged on my heart strings throughout the years – and moulded me into the hopeless romantic I am today. Now, if I only I could date a chick who isn’t my own dead grandmother… but I digress. By far the most disturbing movie on the list – and one of the most disturbing movies you’re ever likely to see – but the theme of true love is what drives it. Erica (Amanda Fuller) is a promiscuous girl who likes to make the beast with two backs with any man she comes into contact with. 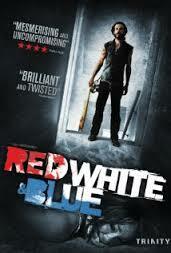 Nate (Noah Taylor) is a psychotic ex-soldier who falls for her, and a relationship ensues. However, when that relationship is threatened, Nate goes on a rampage, and when Nate goes on a rampage, people get hurt. If you can get past how incredibly messed up, unflinching and disturbing this movie is, what you’ll find is a love story between 2 outcasts drifting through life. The lengths Nate goes to win back his girl are extreme, but it’s for love. In a way, that’s kinda beautiful. To put it simply: Tomas Afredson’s Let The Right One In is one of the most beautiful movies ever made. Both to look at, but more importantly, the content of the story and themes, this is absolutely stunning. It’s about a young boy who falls in love with his neighbour, who just so happens to be a vampire. 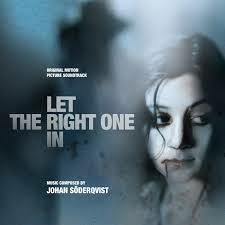 Let The Right One In is a tale of young love which explores the theme of alienation. Oskar (Kare Hedebrant) is a loner who’s spent his childhood being bullied, and Eli (Lina Leandersson) has spent hundreds of years, moving around, trying to survive. Not until they meet each other have they ever felt a strong bond with someone else. It’s a masterpiece. The tagline to Edgar Wright’s cult classic reads: ”It’s a romantic comedy. With zombies.” And that’s exactly what it is. 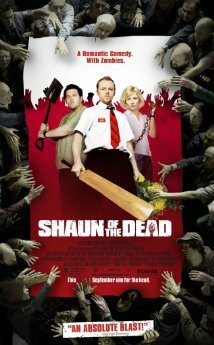 Shaun (Simon Pegg) is a slacker who likes to spend his free time getting drunk with his even lazier best friend, Ed (Nick Frost), to the irritation of his girlfriend, Liz (Kate Ashfield). When Liz dumps him, Shaun sets out to win her back and fights through hordes of zombies in order to do so. This was the first movie of the Cornetto Trilogy, and the cinematic womb that gave birth to the ”zom-com.” Very few movies match Shaun of the Dead for hilarity and touching moments, but the core theme is a slacker becoming a grown up and fighting to win his girl back. You know when people say they’d go to hell and back for their loved ones? Well, that’s just what Charlie (Chad Stokes) has to do for the love of his life, Rachel (Kristy Swanson), after she’s arrested by Hellcop, and taken to the underworld to be the Devil’s new squeeze. This is smart, offbeat, cheesy, charming and hilarious; Hell is presented as an open highway wasteland, paved with good intentions, and it’s filled with quirky characters. On his journey, Charlie meets a cook (played by Ben Stiller), Hitler, Attila The Hun and a host of unforgettable characters based on historical figures and original quirkies. This is a forgotten gem that needs a DVD/Blu-Ray release to be rediscovered. Brian Yuzna’s Return of the Living Dead Part 3 is a departure from the comedic previous instalments into darker territory. Curt (J. Trevor Edmond) and Julie (Melinda Clarke) are 2 rebellious young lovers with a case of, ”us against the world.” It’s loosely inspired by Romeo & Juliet, in a way, with a little Re-Animator thrown in. Anyway, when Julie dies in a motorcycle accident, Curt uses the Trioxin zombie gas to bring her back from the dead – but she’s hungry. Much like David Cronenberg’s 1986 romantic body horror, The Fly, it deals with a couple clinging on to love as one of them loses their humanity; this is a representation of loving your partner through the sickness that comes with the whole ”sickness and health” spiel you hear at weddings. Return of the Living Dead Part 3 is a Shakespearian love tragedy in the guise of a body horror, and it’s Yuzna’s most accomplished work to date.